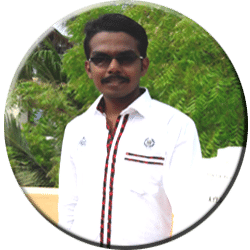 Anto Navis holds an Engineering degree in Computer Science from P.S.N College of Engineering and Technology, Tirunelveli. He is passionate about blogging related to Latest Technology Tips, Google Adsense Tips, WordPress, Plugins, Blogging Tips, Money Making Tips, Gadgets and Social Media Tips on his Tech Info World blog. He is very much interested in Blog creation. Now, He is a professional web designer and Professional Blogger. You can find Anto Navis on Facebook, Twitter, Google+, Youtube. Tech Info World, Domain name (www.techinfoworld.com) successfully registered on 1st January 2016. I am really excited to register because I bought with my hard earned money without any sponsor or support. I launch my technology blog on my mother’s death day Feb 28 with full blessings of my sweetest mom. As Robert Frost says “I took the one less traveled by” and moreover alone. Hoping to make the difference in the lives of people and society. Tech Info World is one of the best online resources to share latest technology news, Google Adsense tips, WordPress, Plugins, Gadgets, Blogging tips, Money Making Tips, and much more interesting topics also included on my blog. ShoutMeLoud – It’s one of the best blogs in the world. It’s running by top Indian Blogger Harsh Agrawal. He is one of the best motivators for me, I get lots of technical information on his wonderful blog. I am one of the regular readers of this blog. AllTechBuzz – Imran Uddin is the founder of All Tech Buzz. In olden, this blog is very much famous for me to get wonderful inspiration articles and tutorials. He mostly writes about How to blog tips, Tech news, Gadget Reviews etc. He is also one of the motivators for me to create the blog to share the technology to all. Digital Inspiration – Amit Agarwal is the founder of Digital Inspiration. He also writes all the technical articles, tutorials, How to and much more… Digital Inspiration won the Best Technology Blog award at Indibloggies more than two times. He is the best motivator for me to write more articles on my Tech Info World blog.